Birth is beautiful, powerful and full of choices. Parenting is rewarding, challenging and also full of choices. Mother's Nest brings you useful information for pregnancy, birth and while parenting young children. Well, I am just flabbergasted! And did you know "flabbergasted" is a word in spell check? I haven't blogged here in a while - since March to be exact, and I came back to this platform and discovered I have not only continued to have readers enjoying my posts, but my readers have grown and are visiting far more frequently than when I used to post regularly. I'm not sure where you've all come from, but I'm glad your here. I apologize for having not made new content lately, I've been quite busy growing my family. We welcomed a beautiful little girl to our family of boys and her birth story can be found at my new blogging home. Many of my initial posts may be writings inspired by posts and topics I have written here, but there will be fresh content as well. Thank you for joining, and I look forward to continuing this journey with you! Last week I shared with you Jeanelle's journey to home birth for her twins, and now, the much anticipated birth story. Devastated to learn that being pregnant with twins might ruin her chance at a natural birth, this mother followed her instincts and pursued every option until she decided to birth at home. With the help of an independent midwife and the support of her partner and a doula, she had the birth of her dreams. With twin A breech and a cord prolapse handled by a skilled midwife, Jeanelle, a family physician in Illinois, defied all odds and birthed two beautiful babies with zero subsequent complications. We met with the midwives once and I felt immediately comfortable with them as a team. I felt so blessed to have another option other than cesarean section for my twins’ entrance into the world. The midwives were confident that I would deliver vaginally but also explained that if things did not progress normally at home that I would be transferred to the local hospital for a cesarean. I prayed the home birth would be successful and transfer would not become necessary. In the next week my husband and I prepared for our birth – we set everything up for the twins and shopped for the birth supplies. We felt funny purchasing shower curtains for our bed and cookie sheets for instrument trays but we felt we were doing the right thing for me and our twins. I continued to see my OB provider for check-ups and antenatal testing (ultrasound for biophysical profile) but did not share with her my home birth decision since she would likely not agree and would remind me of the extreme risk I was taking when I was confident in my decision and trying to stay positive as my due date approached. She did agree to let me wait for labor to begin before performing the cesarean since I refused to schedule a cesarean in advance of labor. I was very nervous and often doubted my ability to birth my twins at home in the week leading up to the birth but I prayed and trusted God to see me through. At 2:45 am on Ash Wednesday morning at 38 weeks and 2 days, the day after my last ultrasound that again showed my twin A to be happily breech and about the same size as his vertex sister I started having contractions as I lay in bed. I got up and went to the bathroom 3 times before I was convinced that this was real. I labored until 3:15 am then I began to feel leakage and knew my water broke. My previous two labors ended with my water breaking so I had never experienced membrane rupture this early on. I was Group B Strep positive so I knew I had to have these babies soon to minimize the risk of complications from that. The contractions were getting more intense and closer together, about every 7 minutes now so I woke up my husband at 3:30 am and called my doula and midwife at 4 am. I felt that the twins wouldn't come for a while so I told my team to take their time, they arrived about 6 am and the contractions had intensified more and were every 3 minutes and lasting at least a minute. I continued to leak fluid. I was informed shortly after my midwife arrived that her preceptor with twin and breech experience would not be able to make it to my birth because she was attending another birth close to her home, an hour and a half away. I was terrified but prayed and felt peace that God would work it out. My midwife, her student, and my doula were believers and also trusted that all would work out and my midwife agreed to assist me with delivery alone if necessary. I continued to labor in my kitchen holding onto the counter as my husband applied heat to my lower back (my labors are always in my back). A short time later my midwife announced that a substitute experienced midwife had been found and was on her way from the next state to attend my birth. I was nervous to have someone in my home helping me give birth who I had never met, but again I trusted God to work things out. The substitute midwife arrived about 9 am (she just happened to be on her way to an orientation closer to my home then her home and it was snowing that morning so it took her twice as long) and I liked her immediately. She was calm, confident and kind. At this point I was laboring in my large bathroom standing at the sink with my husband and doula applying heat and massaging my lower back, the contractions were much more intense and I was starting to feel pressure. My doula was feeding me a banana and making sure I was drinking water; this was so much different than my previous two hospital births where I was not allowed to eat or drink or move around as I pleased. The midwife and her student came in periodically and unobtrusively checked fetal heart tones which continued to be strong. The midwife offered to check my cervix for dilation but was supportive when I declined since I was Group B Strep positive and felt that things were progressing well – this also was in sharp contrast to my previous hospital births. I was in pain but actually enjoying the relaxed atmosphere of my own home and a natural minded birthing team. If my twin A had been vertex and I had had a hospital birth I would have had to labor in an OR without my doula and with a huge team of people watching me just waiting and ready to start a cesarean if something didn't go according to their plan. At about 10:30 am I felt the urge to push, my doula notified the midwives who were in the other room allowing me to labor in peace. The midwives and the midwife student came in calmly and began setting up the birth and baby equipment. I had been laboring fully clothed in my pajamas so they recommended I undress from the waist down at this point, definitely different from the hospital where I would have been laboring strapped to baby monitors, in a hospital gown and hooked to an IV. I undressed and got on all fours as recommended in the breech birth book I had read in preparation for this birth and felt my body start to push, my midwives told me to do what my body told me to do so I did. It was amazing – not pushing to the count of ten, no lithotomy position, only my body doing what it needed to do to birth these babies. After the second push the midwife with twin and breech experience calmly but urgently stated that she saw cord and needed me to either squat or get on my back to push my breech baby out as soon as possible. I quickly was assisted by the midwives and my husband onto my back, the midwives reported they saw a foot and they insisted that I push this baby out now since he was not getting any oxygen since they could not feel any cord pulsations. I was scared but confident that I could do this and that God was with me. I took a deep breath and pushed with all I had in me. I felt an intense vaginal pain which I found out later was the experienced midwife helping to pull baby A out by his foot, then I felt my baby boy enter the world at 10:45 am. The midwives quickly placed my baby right next to me, keeping his cord intact (this would have never happened in a hospital situation, they would have immediately cut the cord and whisked him away) and began resuscitation since he was not breathing. I was calm remembering that the breech birth book had said breech babies are often slow to breath as a protection for them since their head comes out last and it wouldn't be good for them to take a deep first breath when they are still in the birth canal. As they were bagging my baby boy I heard little whimpers then a loud cry, I praised God! The midwives placed him on my chest and my husband and I cried tears of joy. The midwives quickly got to work again listening to twin B's heart rate which sounded good and checked her position externally, she was still vertex. As I was enjoying snuggling with my precious baby A I began to feel intense contractions and knew twin B would be coming soon. I handed baby A to my husband and was helped up to labor and deliver in the position of my choosing to birth baby B after my husband cut baby A's cord. I was squatting and leaning over the bathtub when my body began to push. I got into a semi squat position and on the next push my baby girl was born head first at 11:05 am, 20 minutes after her brother. My husband cut baby B's cord after I had had a chance to snuggle her for a while, then the fused placenta delivered without a problem. I was sitting on my bathroom floor holding my precious twins in my own home with a wonderfully supportive birthing team and my husband by my side just praising God for his faithfulness! I did it! I delivered twins with a breech twin A at home and we all were fine, even after a cord prolapse! It was a miracle! I was helped to my cozy bed to rest and nurse my twins as the midwives cleaned up the bathroom. My doula fed me breakfast and I was allowed to take my time bonding and nursing before the midwife did the newborn exam and showed me the placenta. I was not rushed as I would have been in the hospital, I did not have an IV or a blood pressure cuff in my way. I did not have a surgical wound, a urinary catheter or numb legs as I would have had if I had had a cesarean. 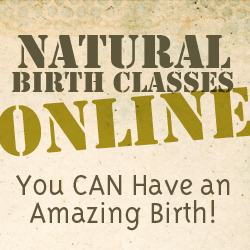 Even though there was a complication, I was so glad I had decided to have a home birth. It went perfectly. My twin A weighed 6 pounds and was 20.5 inches long and twin B was 5 pounds 12 ounces and 21 inches. The midwives and my doula stayed with me for hours after the birth helping me with nursing and answering all my postpartum questions. I had a normal amount of bleeding even though my OB had warned me that hemorrhage was likely after a twin birth and I would need IV Pitocin. My husband and I enjoyed our first day with our twins in the comfort of our own bed, in our own home. My recovery went very smoothly, the midwife returned 2 days later at my convenience to check the babies and me, we didn't have to be bothered at 6 am by doctors checking me and the babies and nurses checking vitals all night long. Nursing went great and the babies did not have excessive weight loss or more than normal jaundice. The midwife scheduled her next visit for 2 weeks later; she would return to my home to see how I was recovering. I didn't have to leave the house at all until the babies’ first pediatrician appointment at 2 weeks old! My experience was nothing short of amazing, I do believe my birth was a miracle and I am so grateful to my husband for supporting me in my decision to have a home birth to avoid an unnecessary surgery and to my birthing team for being willing and skilled to assist me with a home twin breech birth! Can't get enough? Here's another beautiful birth story of a footling breech born vaginally in the hospital! Today, I'd like you to meet Jeanelle, a family physician in Illinois. Her story of finding out she was pregnant with twins and the challenges that came with that is nothing short of beautiful. Sometimes the path to our birth choices is a difficult one. This mom took the time, questioned the norms and navigated the obstacles to arrive at the best birth plan for her family. I always knew I wanted more than one child. I was an only child and did not wish that on anyone; I was very lonely growing up and would often pretend to have siblings to play with. My husband and I agreed we both wanted three or four children when we got married and I continued hoping that God would bless us with at least that many. When our son was close to two we decided to try for a third child despite our son and daughter beginning to be very demanding. It took some time and since I was having heavy, painful periods, unexplained nausea and what I worried were signs of interftility we had a work up for endometriosis. My work up was negative, except for high progesterone, however I did not consent to a diagnostic laparoscopy at that point. We conceived naturally the month after the work up. When we found out we were expecting we were surprised, excited and nervous at the same time! I am a family physician by training so I tend to wait as long as possible to begin prenatal care since I often find myself arguing with my providers about what is and isn't necessary in pregnancy management. My first appointment with the mainstream hospital midwife was at 12 weeks. I decided to go with a midwife rather than an obstetrician for my third pregnancy since I had had two natural hospital deliveries and full term uncomplicated pregnancies. At my first appointment all was well and my exam showed my uterus to be about 12 week size according to the midwife. My husband and I practiced fertility awareness so I knew when we conceived and did not feel the need to have an ultrasound until 20 weeks but the midwife insisted just to "check dates". The ultrasound technician put the ultrasound probe on and just as I was trying to figure out what I was seeing she announced, "Well, you're having twins!" I could not believe my eyes or ears! I never entertained the possibility that I would have twins; there are no twins on my side or my husband's side of the family. I was in a state of shock the rest of the day and I think my husband has been in shock since, he still can't believe we have twins. I was immediately transferred to the care of the obstetrician team at the same clinic since midwives here do not manage twin pregnancies. I had dichorionic diamniotic twins which are considered the lowest risk so I did not have to be referred to maternal fetal medicine/high risk OB care. I chose my main OB provider to be the same one who cared for me during my last two pregnancies. My pregnancy was uncomplicated, at our 20 week ultrasound we found out our twin A was a boy and twin B was a girl, I was thrilled about that not only because I wanted a boy and a girl so my daughter had a sister and my son a brother but also because I knew I wanted a vaginal delivery and knew my twin A had to be larger than my twin B to convince my provider to let me do that. Baby boys are often larger than girls. My twin A was vertex at the 20 week ultrasound so I was confident a vaginal delivery wasn't going to be a problem since my provider agreed that a vaginal delivery was possible even if twin B was breech as long as twin A was vertex. My provider insisted that I have ultrasounds every 4 weeks for twins starting at 24 weeks, I was adamant after doing my own research that starting at 24 weeks was not necessary with my type of twins so my next ultrasound was at 29 weeks. Much to my surprise both my twins were breech at the 29 week ultrasound. I was very depressed during and after this ultrasound since I knew I would be told to have a cesarean birth if twin A did not flip to vertex soon. I immediately researched natural ways to flip a breech baby, focusing on twin A since twin B's position didn't seem to matter to my provider since she could change positions after twin A was born. I started chiropractic care with a wonderful chiropractor in my area trained in the Webster technique. She was confident my twin A would flip however she admitted that she didn't have twin experience. I was worried but pretty confident at that point that twin A would soon be vertex. I continued seeing the chiropractor twice to three times a week, doing inversions and pelvic tilts as I'd seen on spinningbabies.com. Once it was confirmed at my 33 week ultrasound that twin A was still breech I tried moxibustion, swimming, music and my husband talking to our twin A to encourage him to flip but nothing was working, twin B was vertex and twin A still breech at our 37 week ultrasound. At this point I began to accept that twin A would not be flipping but would stay breech likely due to lack of room with his sister in his way. I struggled with anger at my body, God and even my precious unborn baby for forcing me to accept a surgical birth. After much prayer, research, and discussions with my husband, supportive friends, my chiropractor and natural twin moms on Facebook I decided I wanted to try to have my twins vaginally even if my twin A continued to be breech, he was in a complete rather than a footling breech position and I had had two prior vaginal births to babies larger than these twins likely would be. I was convinced after much research that the Term Breech Trial that convinced the obstetric community to stop doing breech vaginal births, was overall a study with many problems and follow up studies did not confirm the findings but rather showed that vaginal breech births may be just as safe as cesarean births for breech babies and safer for the mothers. I hired a doula and wrote up a birth plan. Since I work part time in the same clinic system as my provider I decided to email her to tell her my plan rather than wait until my next appointment. I explained my reasoning to want a natural birth rather than a cesarean even though twin A was breech. She took her time getting back to me and when she did, she made it very clear that she and the rest of the OB team that may attend my delivery would not assist me with a breech twin A birth due to the risks to the baby (she named them all including twin interlocking, a very rare complication which she said was unique to my twin's positions- breech/vertex) and their lack of training with breech vaginal births. Up until this point I was thinking even if my provider did not agree to let me try a breech birth I was going to labor at home as long as I could then show up at the hospital pushing and refuse a cesarean. She asked in her email response that I not put her or her colleagues in a difficult position where they must do something they are not comfortable with. Since I work at the same clinic and would have to face her again, and I didn't want someone that uncomfortable with breech vaginal birth attending my birth in case my baby needed assistance, I decided there was no way I could do that now. My provider did offer to refer me to another local clinic's maternal fetal medicine department since they likely had more experience with high risk birth but she said they would recommend the same thing she was recommending, a scheduled cesarean section at 38 weeks. I decided not to go with this referral after I found out that they would be doing a 2 hour ultrasound at 37 weeks for no apparent reason other than policy and if I delivered in a hospital with an OB their breech experience would be limited since the hospitals here in Central Illinois do not allow planned breech birth and my birth would be very managed. My research showed that the complications in breech vaginal birth are caused mainly by errors in the management of a breech birth not the mode of delivery itself. I figured at this point I had no other option besides cesarean or so I thought. In my devastation I was talking to a close friend of mine who values natural birth as much as I do; she reminded me that she had a home birth with an independent local midwife with her second child. I had never entertained the idea of a home birth, I didn't think it was safe, being a physician myself with some obstetric experience, and I did not think my husband would be supportive. Since I realized I had no other option at this point if I wanted a natural birth I looked into it. Independent midwives are not recognized in Illinois, in fact home births are just short of illegal. I was already 37 weeks along so it was unlikely I would find a midwife who would be available and willing to take my case. I prayed that if this was where God was leading me, it would all work out. The midwife took two days to think and pray about it before agreeing to take me on, she had no twin experience and very little breech experience. She told me she had a preceptor who had been in practice for over 30 years and had a great deal of twin and breech experience but she doubted she would be available at such short notice. Much to our surprise the preceptor was available and willing to take my case! I knew at this point this was God's answer to my prayers for twin A to flip to vertex. I finally had peace and no longer felt angry that my twin A was persistently breech. I remembered that God does not always answer prayers the way we want Him to, but he does promise to work things out for good for those who trust in Him. So we planned the home birth, my husband reluctantly wrote the check for $3300 to cover the home birth and the two midwives. We are on a strict budget since I work part time and do not get paid when on maternity leave so this was tough but we knew it was worth the sacrifice we would have to make. We met with the midwives once and I felt immediately comfortable with them as a team. Follow Jennifer Valencia's board Pregnancy & Child Birth on Pinterest. Knowing how to spot good maternity care is the key to getting it. ©Guiding Angels Birth Services 2013. Simple theme. Theme images by gaffera. Powered by Blogger.